Fraser Meekis stands by the grave of his son Brody on the Sandy Lake First Nation reserve in Northern Ontario. The death of five-year-old Brody Meekis from a strep throat infection has cast a critical light on the inadequacies of health-care delivery on First Nations reserves, reports Gloria Galloway in Sandy Lake, Ont. Brody Meekis died of strep throat, a common bacterial infection that is easily cured with a round of antibiotics when diagnosed almost anywhere in the developed world. But five-year-old Brody was aboriginal and had to rely on the health care provided in his remote Ontario First Nation community. More than a year has passed since the morning his frantic mother, Wawa Keno, rushed the boy to the nursing station in Sandy Lake, a fly-in reserve 500 kilometres north of Thunder Bay. She still fights back tears as she recounts the final hours in the life of her normally energetic, hockey-loving son. "I just remember being so angry," Ms. Keno said during an interview in the living room of her ramshackle, two-bedroom bungalow as she and her family prepared for a feast to mark the anniversary of her son's death. "I was just in shock." Many things went wrong in the treatment of Brody Meekis, many of them related to a shortage of medical resources in the remote indigenous community where, as with other Canadian reserves, the responsibility for health care lies with the federal government. And Brody wasn't the only First Nations child to die last year of strep. A little girl in Pikangikum, Ont., whose name is being withheld by her community, also succumbed to the disease that is rarely fatal anywhere else in Canada. Report after report has outlined the inadequacies of health-care delivery on reserves – where life expectancy is five to seven years shorter than that of the general population, where babies are more likely to die at birth, and where the rates of tuberculosis, diabetes, traumatic injury, infectious disease and suicide are statistically high. One of those reports was released earlier this year by the federal Auditor-General. It found, among other things, that just one in 45 nurses working at a sample group of on-reserve nursing stations had completed all of the government's mandatory training courses; that nurses are being asked to do jobs they are not authorized to do; that the stations had numerous health and safety deficiencies; and that Health Canada does not know whether individual reserve facilities are capable of providing essential services. Several of those issues seem to have been at play when Brody Meekis fell ill.
His father, Fraser Meekis, and Ms. Keno have five surviving children – three boys in primary school and two girls still in diapers. Just as the reserve school began a break week in the spring of last year, all of the Meekis boys came home with fevers and sore throats. Mr. Meekis took his ailing children to the nursing station, but the nurse did not take throat swabs, he said. She instead advised him to give the boys Tylenol, to rub their chests with Vicks VapoRub, and to come back for a second appointment the following week. 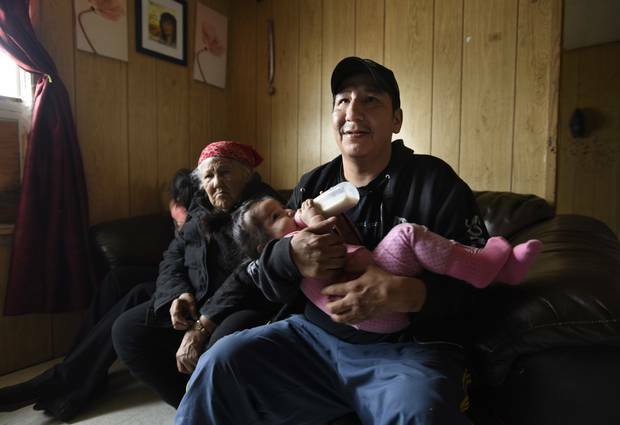 Brody’s mother Wawa Keno, grandmother Adelaide and father Fraser Meekis, holding Makenna, were told to treat the sick boy with Advil and Tylenol. Sandy Lake has just one medical vehicle to ferry people to and from the facility. It is a van that sometimes breaks down on the rough dirt roads of the reserve and is often diverted by emergencies. It didn't arrive on time to get the kids to the follow-up visit and the family doesn't own a car. So they missed the second appointment. While the other boys gradually improved, Brody did not. Mr. Meekis said he called to schedule another trip to the nursing station, but was told there were no available appointments for at least a week. "They said we can call back if things got worse," he said. "I hung up thinking things were going to be okay because they talked me into it. I just had to keep giving the Tylenol every four hours, with Advil, giving him lots to drink and rest." But none of that helped Brody. A couple of days later, he woke up his brother Zachary early in the morning to tell him to fetch their father because he was feeling sick. Mr. Meekis took one look at his son and decided he needed to be seen by a nurse immediately. He roused Ms. Keno, who ran to her grandmother's house to call for the medical vehicle. When it arrived an hour later, she and Brody took off for the nursing station while Mr. Meekis stayed behind with the other children. At the station, an aging facility where the vinyl chairs in the waiting room are frayed down to the foam, Ms. Keno said she found student nurses who were skeptical about the severity of Brody's illness. "They said he didn't even look sick," she said. It wasn't until the head nurse turned up a short while later that the medical staff acknowledged there was a real problem, Ms. Keno said. Brody was given oxygen. And because he kept asking for his father, Mr. Meekis was called to the nursing station. He arrived to find Brody ashen and barely responsive. "It was a student nurse who was watching my son there," Mr. Meekis said. "I kept asking, 'How come he looks like that?' And the nurse was like, 'I don't know.' And the next thing you know, I saw foam coming out of his mouth and I said, 'He's not breathing!' The nurse panicked. I ran out of the room and said 'emergency, emergency.'" But it was too late: Although the nurses managed to revive Brody once, he died later that morning. Fraser Meekis gathers posters and a sign made by Brody’s classmates. The problems at the Sandy Lake nursing station are well known to the community. Council members say the facility was constructed for a reserve of 500 people that is now home to nearly 3,000. Local residents have been trained to perform duties that would normally be done by medical professionals. "So you could have your janitor taking X-rays – when he's available," said John McKay, a councillor who was once in charge of medical administration. Staff retention is also a major issue. The Health Canada allocation of 9.5 full-time nurses has rarely been filled. Locals who go into nursing find that their degree or diploma is their ticket out of Sandy Lake, and nurses who come from big cities get bored by the isolation and don't stay long. "We are very short-staffed, and when you are short-staffed you tend to cut corners and my people end up not getting the services that they should have," the chief said. "I don't blame the nurses. They are not able to cope with the amount of people who come to the nursing station. But every case is an emergency for somebody. In Brody's case, he died. That shouldn't happen anywhere." Brody Meekis was taken to the Sandy Lake nursing station twice, but his strep throat infection was not diagnosed. When asked by The Globe and Mail to outline what steps it is taking to improve the quality of health care on reserves, Health Canada spokesmen said the department provides mandatory training, access to primary-care physicians and nurse practitioners either on site or by phone or videoconference, and practice tools for nurses. They also pointed to financial contributions – Canada invests more than $2.5-billion every year to support the health of First Nations living on-reserve – and said the department "remains committed to providing health services in the communities in partnership with the province." In internal documents, however, Health Canada bureaucrats admit there are staff shortages at nursing stations across the country. The department set a performance target last year of reducing the vacancy rate for nurses within the First Nations and Inuit Health Branch from 39 per cent to 30 per cent. The department's corporate risk profile for 2014-15 says there is a "very high" risk that the government will not be able to deliver high-quality health services to First Nations and Inuit people. And a 2010 Health Canada audit of primary health care at reserve nursing stations found that the department was not adequately measuring how well aboriginal people were being served. It pointed out that the nursing stations were operating around the clock, seven days a week, but the government had budgeted for service only from 9 a.m. to 5 p.m. from Monday to Friday. Fraser Meekis and Wawa Keno have five surviving children, three boys in primary school and two girls still in diapers, including Makenna. 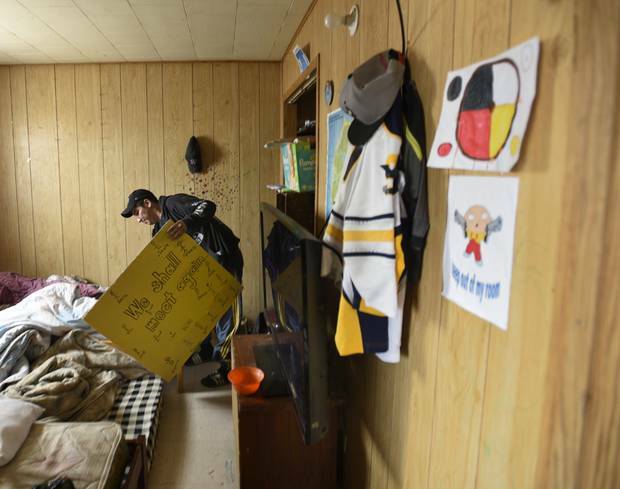 The sudden death of Brody Meekis sent the community of Sandy Lake into mourning. His brothers, Ms. Keno said, were especially traumatized. They now believe they can be killed by a common cold. Although it is required by law for a coroner to attend the scene when a child dies, that rarely happens in remote native communities. Brody's body was instead sent to Kenora, Ont., for an autopsy. Michael Wilson, the regional supervising coroner for Thunder Bay and Northwestern Ontario, said the post-mortem determined that boy's heart gave out after the streptococcal infection caused it to beat out of control. That is very rare and "it's mostly in the developing world, in Third World conditions," Dr. Wilson said. "Certainly from my work in emergency medicine in my prior career, I saw plenty of strep throats, I gave plenty of prescriptions for penicillin, I certainly saw no one die. When Brody died, I thought, 'oh my God, people actually die from it?' It took me aback." Dr. Wilson said he has had significant correspondence with Health Canada about Brody's death and that of the girl in Pikangikum and has made recommendations for improvement. He did not provide details about those recommendations but said he believes Health Canada has taken them seriously. Fraser Meekis hold daughter Makenna while his mother, Adelaide, looks on. 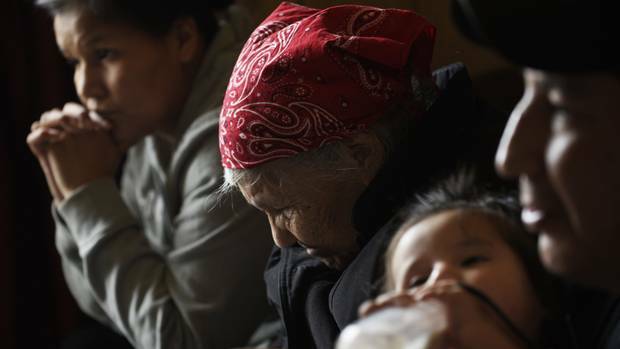 On First Nations reserves, life expectancy is five to seven years shorter than that of the general population, studies show. In February, the department issued its own brief report into the deaths of Brody and the girl. It recommended better community engagement, strengthening gaps in core health programs, and improving the availability of health-care tools in native communities. But it did not deal with any of the specifics of what killed the two children. It lacked clinical reviews to shed light on what happened in that nursing station in Sandy Lake, and it was written in such bureaucratic language that Brody's father, Fraser Meekis, said it was unreadable. The report was so bereft of specifics that Alvin Fiddler, the Deputy Grand Chief of the Nishnawbe Aski Nation, which represents Sandy Lake and 48 other First Nation communities, wrote to Valerie Gideon, an assistant deputy minister at Health Canada, to complain. "Health Canada's failure to include full and detailed information is of great concern, as it makes it impossible to assess the quality of the information gathered and the resulting recommendations," Mr. Fiddler wrote. 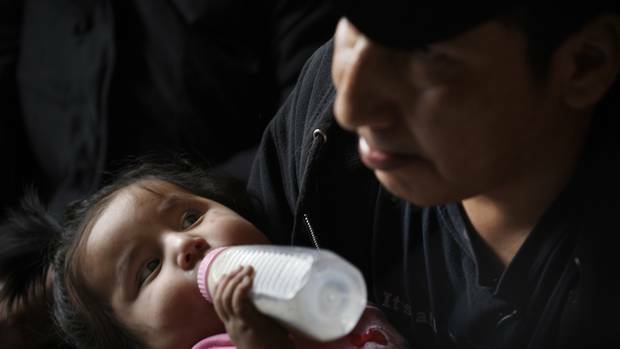 "Health Canada's process has excluded the parents, extended family, and community leadership. It has failed to provide full and detailed information, which speaks to a lack of transparency and accountability." 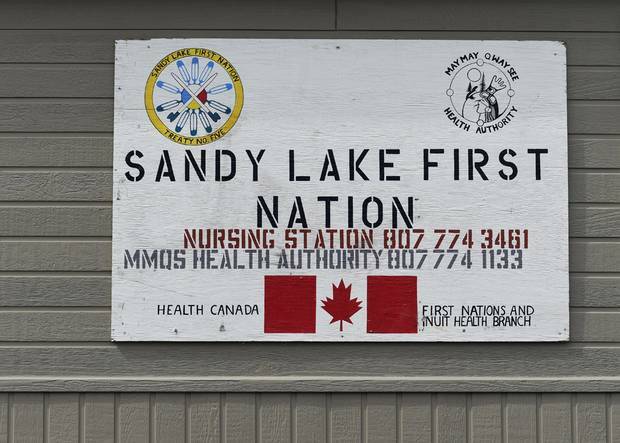 The day before The Globe visited Sandy Lake, the department issued an edict to the staff at the nursing station, saying they were not permitted to speak to the media, nor were they to allow pictures to be taken inside the facility. 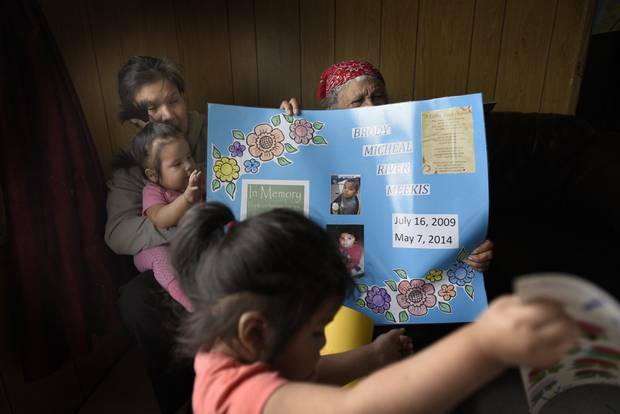 Wawa Keno and her mother-in-law Adelaide Meekis look at posters and signs made for her son Brody. But the people of Sandy Lake are more than willing to talk about the quality of their health care. The family of 40-year-old Wesley Kakegamic, for instance, is still fighting to understand how he died of a heart attack in March despite seeking help at the nursing station two days earlier. David Kakegamic, his brother, said Wesley went to the nursing station on March 8 and then again the next day. "He was told that it wasn't an emergency," Mr. Kakegamic said. The nurses also said bad weather was preventing them from medevacking David to a large hospital down south that could properly treat him, he said. "He was sent back home with a couple of Tylenol and Advil and he was told to rub Vicks VapoRub on his chest," Mr. Kakegamic said. Wesley Kakegamic died on March 10. He had been a drug user and his family believes that was a factor in the lack of treatment he received. They are angry at the nurses. But the leaders of the community stress they do not believe the nurses are to blame. "It is the health system that we know today that is failing the First Nations," said Bart Meekis, the Sandy Lake chief. "We're not asking for more than what the normal Canadian gets for health care," he said. But "we're losing people needlessly." Brody Meekis, he said, was one of them. "I want you to know that this is not about pointing fault at one person to help ease the pain that I feel," said Fraser Meekis of his decision to go public with Brody's story, "but to let you know that the system failed my son."